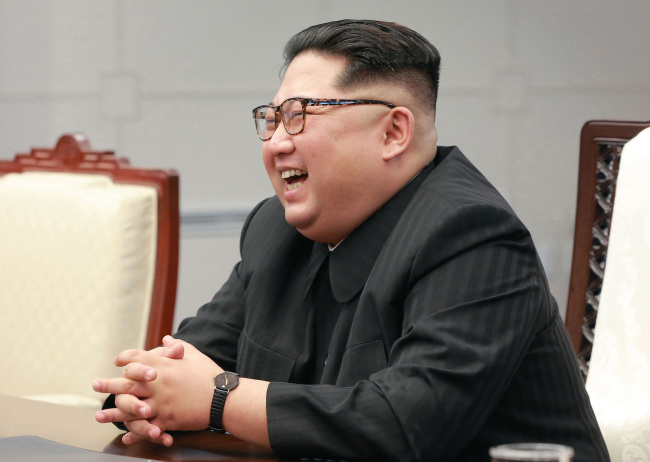 North Korean leader Kim Jong-un has not been seen in public for half a month following his intensive inspections of economic sites this summer, North Korea watchers in Seoul said Tuesday. According to Pyongyang's media, Kim had visited 30 economic sites between late June and late August, prodding government and party officials to help speed up a state drive for economic development. But the North's media have stopped reporting on Kim's public activity for 15 days after coverage of his on-site inspection of a medical equipment factory and attendance at a funeral for former defense chief Kim Yong-chun, both on Aug. 21. The leader's prolonged absence from public view draws particular attention as the North's 70th founding anniversary is on Sunday, said the watchers, raising speculation that he appears to be concentrating on external diplomatic strategies amid a deadlock in denuclearization talks with the United States. In this regard, much attention has also been paid on whether Kim will meet with South Korean President Moon Jae-in's special envoys scheduled to visit Pyongyang on Wednesday. Amid the possibility of a high-ranking Chinese official visiting the North this weekend to celebrate its founding anniversary on behalf of Chinese President Xi Jinping, Kim is expected to meet with the Chinese guest, they said. There is also a possibility of Kim delivering an address during the founding anniversary military parade in Pyongyang, they added.